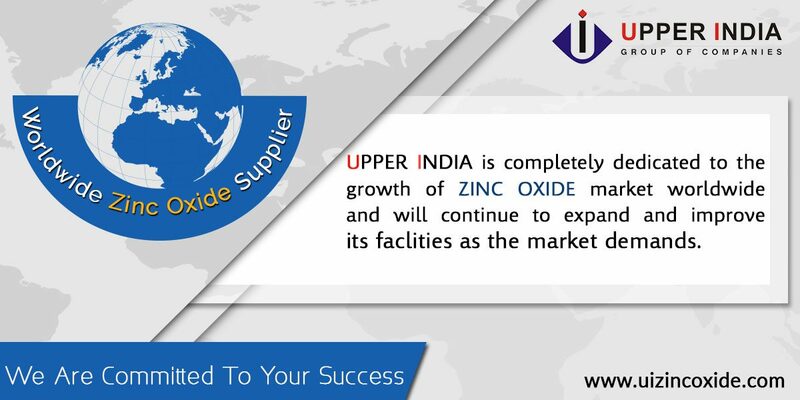 Consistently proven ourselves as a supplier of Zinc Oxide worldwide, Upper India is the global exporter of the highest quality Zinc Oxide at reasonable prices. In order to do this, we have to be efficient and have appropriate technology. We routinely conduct product and process improvement research and development at our laboratories. This is done to make our products more suitable for our customers. We have our manufacturing facility in Haryana & Gujarat. Our team of highly trained and dynamic employees enables Upper India to fulfill its corporate mission. Our production method yields one of the purest zinc oxides available. It is of particular appeal to industries such as Rubber, Ceramics, Paint and Pigment, Pharmaceutical and Agriculture. We hold the ISO 9001- 2008 and ISO 9001-2015 certifications for our manufacturing units located at Yamunanagar in Haryana and Chhatral in Gujarat respectively. This showcases that we utilize the best standard for industry quality management system for production and distribution of Zinc Oxide. Founded in 1959, Upper India rapidly established itself as a major player in the market. After setting up its first company establishment in Haryana, it engaged in successfully expanding its business units in India. Upper India is completely dedicated to the growth of Zinc Oxide market worldwide and will continue to expand and improve its facilities as the market demands. It offers Zinc Oxide range in conformation to the international standards and also customizes it as per industry needs. Upper India operates and adheres to the laid down philosophy of the management to ensure complete product reliability, increased productivity and enhanced customers’ satisfaction. We ensure that the finished product complies with the specifications and at the same time is also consistent in quality. The purity, consistency & uniformity of particle size are assured through the application of Statistical Process Control & Quality Assurance.